The city of Karachi developed from a sleepy fishing village to one of the largest metropolis of the world through the endeavours of many who called the city their own. Traversing through the annals of history, changes to the topology and physiography came with the British colonialists assuming control of the city. Quaid-e-Azam Muhammad Ali Jinnah had a lot of plans for the nation after creation of Pakistan in 1947. One was to see a factory that manufactured exercise books. He did not live to inaugurate it, but his dream was realised in the next four years with the establishment of Pakistan Paper Products (PPP), one of the first factories in Karachi. Set up in 1887, Karachi port has remained the lifeline of commercial and trade activities of the country. It has a long, eventful history, starting from the old sea port, Khark Bunder, which was located on another side of the Hub River. At that time Karachi creek had just 22 to 25 huts of fisherfolk and the port was known as Dibro. The benefit of hindsight makes the realisation of what was, what is and what could have been even more pronounced. Many of those who reminicse about Karachi continue to paint a picture of a glorious past, and a dynamic societal fabric. Samia Saleem investigates the history and service of some of the most important roads of the city Roads in Karachi have played a major role in contributing to the devlopment of the city, as well as in providing a critical service to commercial and business activity. Among the numerous roads in the city, there are a few old ones that have always played a most significant role in lending the city its novel value and importance. M. A Jinnah Road, I.I. Chundrigar Road and Shahrae Faisal are three such thoroughfares that can truly be called the landmark roads of Karachi. The British colonialists occupied the city on February 17, 1843. While Karachi was critical for their strategic interests, it was an Englishman, Sir Bartle Frere, who can be credited with not only developing Karachi harbour, but also the laying down the railway line between Karachi and Kotri, and establishing the first postal system in India, between Karachi and Hyderabad. 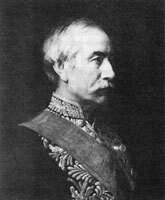 "Probably the greatest contribution towards the development of Karachi given by Sir Charles Bartle Frere is the foundation in Karachi of the civic body, which has grown from a small municipal commission into one of the biggest and best municipal corporations of India," note Behram Sohrab H.J. Rustomji and Sohrab K.H. Katrak in their book "Karachi during the British Era". In 1852, Conservancy Board was transformed into Municipal Commission to make it more effective. The Commission used to have 24 members, of which nine were English men and the rest were locals. Its first temporary office was established at McLeod Road (now I. I. Chudrigar Road), and for the first time the Commission was given the powers to collect taxes, and to beautify and develop the city. Developmental work thus started in Karachi for the first time. Roads were constructed, wells were dug and arrangements were made to illuminate roads. In 1859, the Commission took responsibility of providing potable water to the city, and in 1870, Bunder Road (now M.A. Jinnah Road) was constructed to connect the city to the port. In 1883, the municipality laid 19-mile pipeline from Damloti wells to the city. On January 1, 1885, the Commission started working as Municipal Committee. In 1910, Karachi Municipal Committee got the right to choose its president on its own, and subsequently, Sir Charles Mules was elected as its president. He served from October 1910 to October 1911. 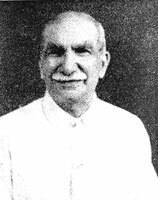 Ghulamali G. Chagla served as president of the Municipal Committee between May 1921 to April 1922 and Jamshed Nusserwanji from November 1933 to August 1934. Nusserwanji is fondly remembered even today. A social worker and a simple man, he was the first elected mayor of Karachi. Nusserwanji established a hospital for leprosy patients near Manghopir and he visited that hospital twice a week. Takamdas Wadhumal served as mayor during August 20, 1934 and May 3, 1935; Kazi Khuda Buksh between May 3, 1935 and May 9, 1936; K.B. Ardeshir H. Mama between May 9, 1936 and May 4, 1937; Durgadas B. Advani between May 4, 1937 and May 6, 1938; Hatim A. Alvi between May 6, 1938 and May 5, 1939; R.K. Sidhwa between May 5, 1939 and May 1940; Lalji Mehrotra between May 1940 to May 1941; Mohammad Hashim Gazdar between 1941 to May 1942; Sohrab K.H. Katrak between May 1942 and May 1943; Shambonath Mulraj between May 1942 and May 1943; Yousuf Haroon between 1943 to May 1944; Manuel Misquita between 1945 and May 1945; Vishhramdas Devandas between 1946 and 1947 while Mahommed Ahsan was elected the mayor in 1947 after the creation of Pakistan. The population of Karachi in 1941 was merely 386,655, according to Rustomji and Katrak. Amongst them, 180,199 were Hindus; 162,447 were Muslims; 17,466 were Christians; 12,632 were scheduled castes; 5,835 were Sikhs; 3,214 were Jains; 3,700 were Parsis; 75 were Buddhists; 1,051 were Jews and 36 were "others". The Hindus majority was diluted with the influx of immigrants from India after the creation of Pakistan in August 1947, and the migration of Hindus the other way drastically changed the demography of the city. Eminent architect and town planner Arif Hasan notes in his book "The Unplanned Revolution" that major changes took place in Karachi between 1947 and 1951 with the addition of over six hundred thousand inhabitants to the city's population. "The Hindu population decreased from fifty-one per cent to two per cent, while the Muslim population increased to ninety-six per cent. Similarly, the Sindhi-speaking population decreased from 61.2 per cent to 8.6 per cent, while the Urdu/Hindi-speaking population increased from 6.3 per cent to fifty per cent," he wrote. In 1948, the Corporation was dissolved, and was revived after six years in 1954. In December 1956, it was dissolved again and the municipal commissioner system was introduced. 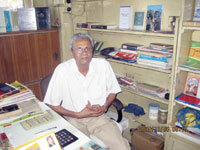 In 1979, local bodies' elections were held, and Abdus Sattar Afghani emerged as the mayor. He was re-elected in 1983, but in February 1987, the body was dissolved another time again when it resorted to agitation. An administrator was then appointed to run the affairs of the Corporation. On January 15, 1988, Dr Farooq Sattar was elected the mayor of the Corporation. Though all the mayors have played a role in the development of Karachi, Dr Sattar and Naimatullah Khan are quite distinct in the recent past. Similarly, the incumbent city Nazim, Syed Mustafa Kamal, and city Naib-Nazim Nasreen Jalil have made a niche due to their consistency and leadership qualities. The leaders of Karachi are not confined to municipal leaders. In the making of Karachi, especially in raising awareness amongst its people, a significant role has been played by the student leaders produced by this city. In 1953, Dr Mohammad Sarwar played a vital role in mobilising the students of Karachi and forcing the administration to accept the demand for establishing a university. Some of his comrades emerged as distinguished doctors and surgeons, and were destined to play a role in providing solace to people. One of them is Dr Adib-ul-Hasan Rizvi, who established the Sindh Institute of Urology and Transplantation (SIUT). Another was Dr Jaffar Naqvi who established the Kidney Centre. Dr Syed Haroon Ahmed, yet another one of Sarwar's comrades, went on to set up the Institute of Behavioural Sciences. In the realm of social work, Karachi produced Abdus Sattar Edhi, who established the largest ambulance service in the world in private sector. The city is also indebted to Dr Akhter Hameed Khan, founder of Orangi Pilot Project (OPP), who successfully demonstrated that basic amenities could be provided through participatory development. The city has also produced luminaries such as Zia Mohyuddin, Ghanshyam and Sheema Kermani who enthralled generations through performing arts. Then the city also boasts of literary giants such as Josh Malihabadi, Prof. Majnoon Gorakhpuri, Prof. Mumtaz Husain and historian and anthropologist Syed Sibte Hasan. The city also produced eminent humourists such as Mushtaq Ahmed Yousufi and Ibne Insha and short story writers such as Zahida Hina. Tens of thousands of students have used the exercise books inscribed with the symbolic triple 'P' logo. Not many know the story behind PPP and other companies which were raised from scratch in the deserted landscape of Sindh Industrial Trading Estate (SITE), the first and now the largest in the country. Karachi with its seaport was the obvious selection for setting up industries by businessmen who migrated from India. Hashim B. Sayeed, the Chairman of PPP, was one of them. Unlike current times when a startup entrepreneur has to run from one government office to another, back then even the rickety state machinery was welcoming anyone with financial or intellectual resource. At 21 years of age, Sayeed came to Karachi soon after independence with a few thousands rupees, leaving behind his parents in Hyderabad Deccan. "I got very emotional with all the Muslims being killed and decided to move here," he told Kolachi. He moved in with a Christian family in Saddar as their paying guest. Soon, he came into contact with Abbas Khalili, the then industries secretary, who was never out of bound for enterprising people. Khalili told Sayeed how Jinnah yearned to set up an exercise book factory in early days of Pakistan because of his strong emphasizes on education. "There was no stationery available at that time. Even government departments were short of paper. There was no paper mill in the country." Sayeed's father was a director at Sirpur Paper Mills in India. He asked his father if a Muslim expert could be recommended for the job. "My father requested Khursheed Ali, a paper technologist at Sirpur, to visit and see if he could be of any help," he said, pausing to reflect back on the moments. "A few weeks later, that gentleman came right at my doorstep in Karachi, and we immediately set off to see the secretary." The high profile industries secretary was available to potential entrepreneurs even at home. "Khalili gave Ali a red carpet reception. He was given accommodation, transport and everything by the government." Khursheed Ali was assigned the task of setting up country's first paper mill. After a survey, he shortlisted Chittagong in East Pakistan as the best location due to the availability of wood, the basic raw material. That endeavor resulted in the beginning of construction work in 1951 on Kharnaphuli Paper Mills, which was Asia's largest paper mill at that time. But when Ali went to Germany to buy machinery he also booked an exercise book making machine for Sayeed. "We were fortunate to get one acre of land at SITE," Sayeed said, adding that in 1950s, only a handful of factories including Coca Cola and Pakistan Tobacco Company were being built, aside from Valika Textile Mills, which was inaugurated by Quiad-e-Azam in 1948. Pakistan Paper Products since then has grown into a big company. A dome-shaped structure built by Gammons Construction Company still stands within the factory premises. It housed the first machine and has been in use up till now. For the next few years, industries kept sprouting up in SITE and elsewhere in Karachi. Dynasties like Valikas, Century, Rasheeds and Pakola pushed the development process forward. One of those factories to come up was ALA Chemicals, the maker of Dentonic toothpowder. ALA Chemicals Chairman S. A. Alavi, 73, started production in early 60s from a two-room factory. His product was soon to become a household name in Pakistan. Like Sayeed, he also had no capital. Their only asset was entrepreneurial spirit, which was enough to make them successful businessmen in the face of difficult times. Industrial development, however, stalled in the following years. Nationalisation in 70s, military coups and myopic approach of successive governments did not foster the industrial establishments. In the 1980s, big industrial units lost economies of scale, and the subsequent closure of such factories paved the way for small textile industries to start functioning. SITE, which was originally meant for 1200 factories, has expanded to 3000 units at the moment. This should have meant development of the oldest industrial estate, but the government paid scant attention to construction of new roads, water pipelines and power plants. By 1990s, bureaucratic hurdles and red-tapism made it impossible for anyone to set up a factory. M. A. Jabbar, the current Chairman of SITE Association of Industry (SAI), started his electrical equipment making plant in '92. "The first problem I was confronted with had to do with getting the government's permission," he said, adding that an NOC was issued only to influential people. "The land which was being allotted back then was hilly and uneven. A lot of money was needed for setting up a plant." In the absence of basic facilities such as a proper road network, big industrial units started to close down. "I am the chairman of SITE, but for the past 20 years, I have not been able to get a water connection. Not even my influence could help me," Jabbar said with a wry smile. M. Omar Lassi, a banker, who has vast knowledge about the history of this ever-growing city and its old areas, said that Hindu traders used to run Khark Bunder and provide access to neighbouring traders to other sea ports by cargo boats. However, because of the increasing silt, the mouth of the Hub River and the navigable channel eventually became unstable for shipping. It was then that the Hindu merchants set up a walled port over an area of 35 acres near Karachi harbour in 1723. This port had two gates--Kharadar and Meethadar. The entrance to Kharadar was from the beach, while the opening to Meethadar was from the city. Lassi said that the migration of population from Khark Bunder started when the people felt that increasing sea intrusion was destroying their old port. Gul Hassan Kalmati, who has written three books on Karachi's historic areas, said that the Talpur rulers attacked the fort twice, and then conquered Karachi by force. The Talpurs expanded the port to continue their trade activities and the old merchants shifted their businesses to Manora and Keamari. Kalmati claims that the Talpur rulers had a small military force and could not face the British invaders when they took over Sindh in 1843. Tracing the history of the Karachi port, he said that a Hindu trader, Bhojumal, was the main person operating the Khark Bunder, after which the walled city (fort) was established in Karachi. People belonging to the old areas of the city believe that the Karachi Port has a natural navigation channel, which was the mouth of the Lyari River falling into the sea long ago. 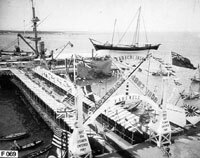 In 1860 the Karachi port was merely an anchorage, an arm of sea with no wharves, cranes or railway. Along with the expansion of harbour after the development of Karachi Port by the British rulers in 1887, the population of the city started increasing and rose from 300,000 in 1931 to 5,437,984 in 1985. The people from Makran, Balochistan, are assumed to be the first settlers in the city. It is said that they took active part in the development of Karachi and provided the manual labour force for all activities, including loading and unloading cargo boats. After the Baloch, the Kuchhi community migrated and settled at island villages and other areas. The KPT claims to have launched projects worth over Rs2.8 billion under the Tameer-e-Karachi programme. The project included repairs of three roads and the construction of a flyover to alleviate the traffic problems in the city. Apart from this, work on a coal terminal, as well as dragging with modern equipment to keep the channel safe for shipping, are also under way. Residents of the area said that the KPT's dragging system will facilitate trading cargo ships but may destroy island villages due to dragging activity near the islands. They believe that the KPT authorities should realise the impact of frequent high and low tides on the island localities, which affect the residences. They suggest that a seawall should be made to protect the localities. The destruction of mangroves is another problem that the community faces. The locals were of the opinion that the new projects being implemented by the KPT would definitely affect sea plants, which serve as shields against disasters. The Salt industry located in Mauripur, Keamari Town, is no safer, because industrial and urban waste, carrying poisonous chemicals is released to areas where salt is being collected. Local activists said that since salt is an essential commodity, the mix of poisonous chemicals may be disastrous in the future. In response to the reservations of the community, a KPT spokesperson said they had all the information regarding the development and services updated on their website. Muhammad Yunus, the manager of Thomas & Thomas bookshop gently ruffles his white colored hair, and stares into space before portraying a serene picture of Karachi and the way it was in the old days. His bookstore is one of the oldest in the city and perhaps it is the last one in the main Saddar area to have survived. "Back then, the area around my bookshop, Regal Chowk used to be a peaceful place, free from the noisy, smoke emitting vehicles. There were a number of bookstores but most of them have either closed down or shifted to other localities," Yunus said while talking to Kolachi. In the past, the Thomas & Thomas used to host many literary gatherings and fiery debates. Thronged by bookworms, the shop saw many politicians such as General Yahya Khan, Zulfiqar Ali Bhutto, General Zia and eminent writers such as Hasan Askari, Ardeshir Cowasjee searching for books in there. Outside the store, hawkers in their cabins attracted crowds while in the nearby cafeteria, booklovers used to chit chat about their favorite books over a hot cup of tea and crispy patties. However in today's Karachi the shop which has been standing firmly to the ground since 1948 is witnessing a massive reduction in its customers. "The reading habit has diminished. Some 30 years back, the shop was a hustle bustle place where people bought literature, poetry, philosophical and history books." Though Yunus realises that there has been a definite rise in prices of books now, he does not agree that this should be the reason for reduction in reading habit. "People are ready to spend hundreds of rupees on eating food in expensive restaurants, but they are reluctant to spend the same amount of money on books," he argued. 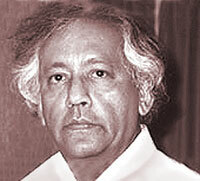 Back then in the 1970s, journey from Yunus' shop to his home in Federal B Area was a peaceful one. "We owned a Ford during that time. There were no bridges and a straight, single road would take us home. Few private cars used to run on the streets, hence there was hardly any traffic," he reminisces. Coming back to his sheer passion and love for books, he laments that today the advent of electronic media has taken control over the Karachiites, and the reading habit has faded away to a large extent. Recalling the old and beautiful days of Karachi, 76-year old Zahida Saeed said that much has changed in Karachi since she was a teenager. "Life in the 50s and the 60s was simple and trouble free," she told Kolachi. "There were no monetary tensions to haunt us, and there was no fear of getting robbed in broad daylight either." Back in the old days, she recalls traveling with her husband and five children via trams from Kandawala building to Tower in Saddar. "For outing we used to go to the Garden Zoo, while shopping sprees were carried out at the Saddar bazaar and Zaibunnissa streets. Gates of houses were never locked as there was almost no robbery. Our house in the early fifties, in Nazimabad No 3 was among the first few houses of the block to emerge, and living in the barren neighborhood, we never even for once in our lives felt insecure," Zahida said. 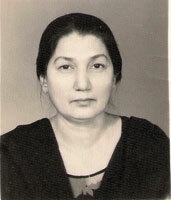 She recalls that at that time there was no television to entertain people, and Radio Pakistan was the only source of electronic media. "The children used to eagerly wait for the Munni Baji show, there was ample time to sew, to cook and to have a gossip session with the neighbors. Food used to be served at Dastarkhawan. Furniture was minimal in houses, and instead of sofas and couches, there used to be Chandiyan and Gao Takiya," Zahida said. However she resorted to wearing the national dress, her daughters followed every trend, wearing baggy shirts to flappers and bell bottoms. "No one used to stare at the females or behave indecently towards women. Today, the scene is quite the opposite," she said. Being the daughter of a successful dentist Anwaar-ul-Haq from Jaipur, India, Zahida was just 14-years-old when she fled India along with her family via a charter plane in Pakistan in October 1947. She reached Multan possessing just few pieces of clothes, leaving behind the luxuries of traveling on elephants, buggy and cars in Jaipur. "From Multan we came to Karachi by train. On the train I and the other teenage girls hid in the restroom for two days in fear of being killed by the non-Muslims. When we finally reached Karachi safe and sound, we were utterly relieved and for several months lived in quarters in Lawrence Road before moving to Nazimabad," she told Kolachi. Sharing her views about today's Karachi, she said, "Times have changed, indeed. Today, there are no genuine feelings of love and affection among the people, neither is the will to be truthful, sincere and hardworking. Materialist approaches and demands have taken over peoples lives. Back then life was easier. Every thing was accessible and cheap. It's sad to see that many good things are practiced no more," she said disappointedly. 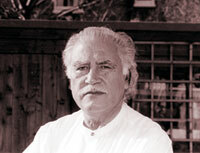 Irfan Hussain, who has been writing for the Pakistani press for over 30 years and has been published in the local and international media said that the Karachi that he grew up in during the 50s and the 60s was a tolerant, cosmopolitan city, where Christian, Parsi and Hindu friends played together at school. Disparate communities lived together in peace and harmony, and Saddar was a vibrant, multi-cultural hub where many Goan families lived and owned shops. "In those days, the city was so safe that we would ride everywhere on our bikes without our parents being concerned," he said. "As we grew older, there were night-clubs to sneak into and see people such as Princess Amina, the famous belly-dancer. I feel very sorry for the younger generation which has grown up in a bleak, harsh Karachi that is totally alien to those of us who have seen a different place at a different time." Raza Ali Abidi, a journalist, broadcaster and author of many children's stories, literary books and travelogues, paints an image of Saddar in the 1950s. Saddar, he said, used to be the central point of Karachi. Muhammad Ali Tramway Company's trams and Leyland buses brought people to Saddar from all directions. "It was a meeting point and after having a bath and dressing up, people came to Saddar to spend their evenings in the famous Elphinston Street which was lovingly called the Elphi," he said. Saddar had plenty of restaurants and eating places. Zelin's coffee house was the favourite spot for poets and authors, Abidi said. "Other 'Irani hotels', as the restaurants are called in Pakistan, served less affluent people with half-filled cups of thick tea, costing only six paisas," he told Kolachi, adding that Saddar was also known for its flower shops. People returning home bought garlands and 'Gajras' for their wives as was the old practice of the ancient city of 'Dilli'. "Karachi was hardly ever drenched with rain in those calm, quite and peaceful days; all of that, however, is now a dream which I do not think will ever repeat itself," he said. M.A Jinnah Road was the first jewel in the city's crown, and was formerly known as Bunder Road. Lined with beautiful classical architecture and constructed in the year 1851, it is one of the oldest roads in the city. On this road still stand aloft many buildings from the colonial era. Stretching from the famous Merewether Tower to the tomb of Quaid-e-Azam, the road houses numerous historic buildings such as the Imperial Customs House, Karachi Municipal Office, Karachi Port Trust, Khaliqdina Hall, City Court Building and Denso Hall. Back in 1884 when the tram service started, it was on Bunder Road where commuters could avail this means of transportation. Then in 1892, the first veterinary hospital was constructed here. In 1906, Khalqadina Hall, which later became the hub of independent and educational activities, was made. In 1950, Radio Pakistan was shifted to this bustling thoroughfare. Also on this road was the famous Zelin coffee house frequented by poets, writers, intellectuals and political figures of the colonial era. The building now houses a bank. Many of the colonial buildings on the road have been declared heritage buildings. These include Theosophical Hall, Denso Hall, Khaliqdina Hall, Mama Parsi School, NJV High School, Radio Pakistan Building, Richmand Crawford Veterinary Hospital, and Dow Medical College. I.I Chundrigar Road, the central business district of Karachi, was called Mc Leod Road during the colonial rule. It was named after Sir David McLeod; a Lieutenant Governor of Punjab in British India, but later the name was changed and kept after a former Prime Minister of Pakistan, Ibrahim Ismail Chundrigar. This highway currently stretches from Shaheen Complex to Tower and is the prime business street of Karachi. According to some estimates more than 15% of Karachi's traffic passes by this busy road, making it one of the busiest boulevards of the urban centre. Being in close proximity of the port, this road was immediately eyed as the commercial centre by the British rulers. The Cotton Exchange built on this street is an impressive dome and circular column structure, in front of the City station. The State Bank building here was formerly used as the head office of the Imperial Bank of India and later it became the visa section for the high commission of India. Currently it houses some offices of the State Bank of Pakistan. The most famous monument on this road however, is the Habib Bank Plaza. Constructed in 1968, with 22 floors, it was the tallest building in Pakistan until 2005. Shahrea Faisal is one of the newer and most modern roads in not just Karachi, but the entire country. Initially, it was just a highway made by a cluster of roads; later, after the death of King Faisal Bin Abdul Aziz of Saudi Arabia in 1975, it was named Shahrea Faisal. Stretching from Hotel Metropole to the Jinnah International Airport, Shahrea Faisal is the second largest business street in Karachi after I.I Chundrigar Road, sheltering various national and multinational business complexes and offices.